Professional sports franchises have been unsung pioneers of technology for decades. There is a lot of money at stake and a high volume of data-producing traffic at games—conditions that are ripe for data analytics. 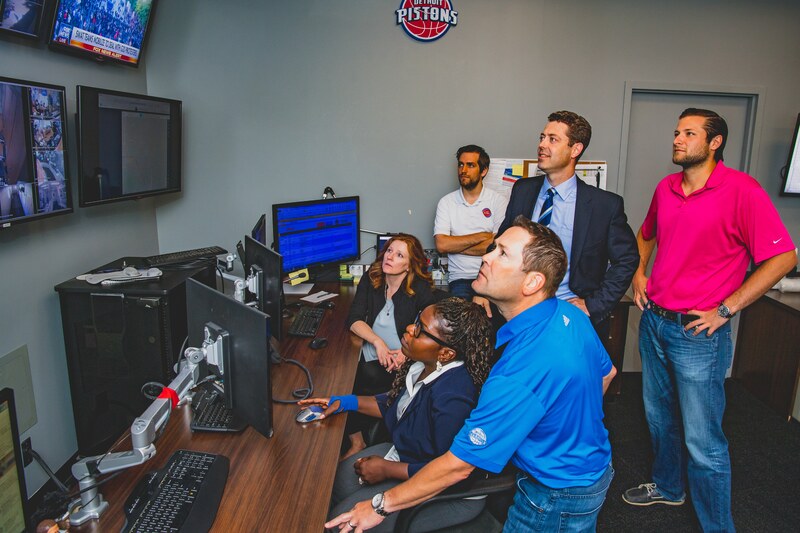 Chris Pittenturf is vice president of data and analytics for Palace Sports and Entertainment (PS&E), which owns the Detroit Pistons, and he says his relationship to end users is different than most other industries, and not just because they make more noise and wave foam fingers. The affinity between sports fans and their teams allows for a unique give and take relationship in which fans are eager to provide data because they feel a sense of ownership and affinity with their team. 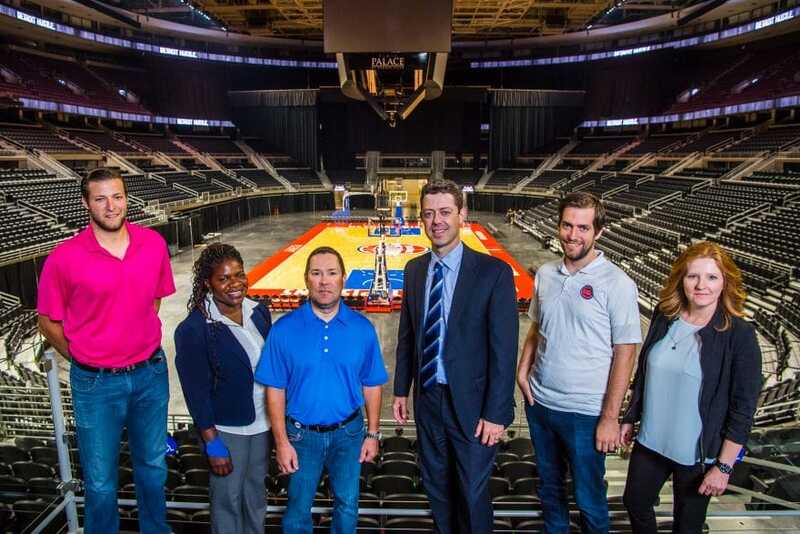 Nurturing this relationship will be especially important as the Pistons move from their home of nearly 30 years, The Palace at Auburn Hills, to Little Caesars Arena in downtown Detroit. Pittenturf points out that while the company has a fan-facing Pistons app, his team concentrates on internal applications and systems that capture information to improve guest services and make game night run smoothly. Recently, the data analytics team rolled out what it informally calls its “premium club application,” which predicts how much food the catering staff should pre-prepare for parties holding exclusive tickets. Pittenturf says the app has reduced waste and improved services for VIP visitors. PS&E has been working with technology partner, Incite Informatics, for three years to bring these analytics capabilities to life. “We’ve been able to form a highly synergistic relationship where the thinking is elevated and great outcomes are produced for the business,” says Matt Griffin, CEO of Incite Informatics. While working with Incite, PS&E has developed tracking programs to monitor concession sales and foot traffic in real time. The data team also tracks demographics and monitors trends like the ages of people attending each event. Pittenturf and Griffin say that taking advantage of real-time information presents a paradigm shift in marketing. “Event management is now in a position to run promos on hot dogs or hats in the middle of a game, instead of waiting a few days to learn they fell just short of budget,” says Griffin. All of this data means that PS&E can tailor every event and advertisement to the people who are most likely to be interested in them. The personalized approach may benefit PS&E and fans alike. Pittenturf says that before they started sending customized targeted messages, his team would send broad emails to hundreds of fans. Instead of generating interest, the emails drove some people away. “You might only tell 10,000 people about an event, but if they’re the right people, you’ll get the same amount of interest as if you reached out to 100,000 and included everyone under the sun,” he says. The importance of data goes beyond just tracking, and Pittenturf says the way his team gathers and uses customer information is reflective of the larger relationship he wants to build between PS&E and ticket holders. That is to say, one where fans are excited to go to games regardless of the team’s record. That loyalty has been on display recently, as the Pistons get ready to move to their new arena. The team will start playing at Little Caesars Arena alongside the NHL’s Red Wings this October and Pittenturf says that moving downtown, with its added traffic, may impact when games start. His team has reached out to Pistons fans for input, surveying a fan forum made up of seasons pass holders, social media followers and TV viewers. The move should be good for the team and for Detroit, where it is projected to create about 2,000 jobs and generate a $600 million annual impact between ticket sales and wages, according to the Detroit Free Press. Pittenturf says the move is a big one though, and will take a couple of years to complete. While the team plays in Detroit, it will practice in Auburn Hills where offices will remain while PS&E builds a new facility downtown. Though the venue is going to change, Pittenturf and Griffin say the strategy will remain the same—to build better relationships by harnessing the unique intimacy of basketball, which features just five athletes on each team and gives the audience a chance to get right next to the action.